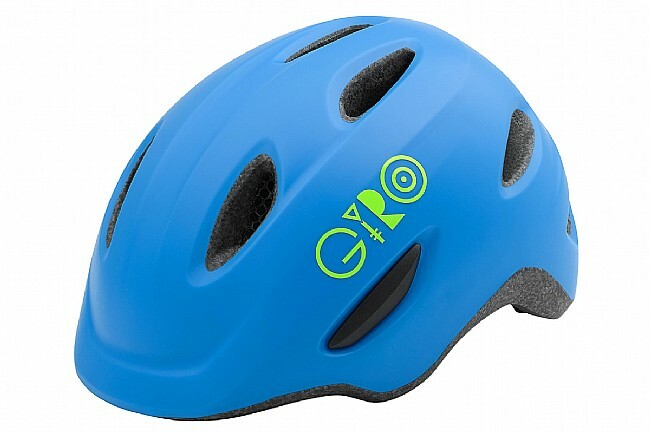 Giro doesn't believe your child's helmet should be any less safe than the one you wear yourself, so they took features from their Montaro and Montara helmets and sized them down to fit your little ones. Starting with in-mold construction to create a lightweight, durable shell, the Scamp is shaped with an integrated visor and 8 vents to keep ample airflow. Inside, Giro's Roc Loc Jr. fit system has been reworked to better fit the shape of children's heads, with a pinch-guard chin buckle and rubber adjustment knob at the rear to take the hassle out making things comfortable. Each size has a wide fitment range for extended use as your child grows, and the Scamp is available in multiple kid-friendly colors.